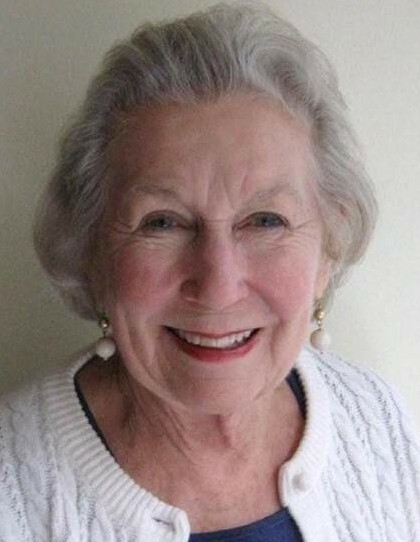 Elinor Wrenn Hadley, 86, died peacefully at the Stewart Center of the Cypress in Charlotte on Thursday, January 31, 2019. Elinor was born June 8, 1932, the eldest of five children of Oscar Ivey and Lucy Wright Wrenn of Greensboro. She is survived by her sister, Anne Wrenn Russell of Greensboro; her brother, Alec Elmer Wrenn (Kathy) of Greensboro; her daughter, Sallie Jo Hadley (Greg Harris) of New York, NY; her son William (Cheryl) of Charlotte and their sons, Wilson and Brower; her son, James of Winston-Salem; her son, Alex (Jinny) of Kunming China; and her son, John (Wendy) of Charlotte and their daughters, Ella and Sallie. Elinor was predeceased by her younger brother, Ikey Wrenn of Greensboro; her sister, Kay Wrenn Armstrong (Mel) of Lookout Mountain, TN; and her husband James Alfred Hadley of Mount Airy. Elinor grew up in Greensboro and attended Women’s College (now UNC-Greensboro) before transferring to UNC-Chapel Hill, where she graduated Phi Beta Kappa with a degree in journalism. While at Carolina, she also served as secretary of the student government and as a cheerleader. After graduating UNC-Chapel Hill, she worked in public relations both in New York, NY, and Greensboro. She married Jim Hadley in 1958, and moved to Mount Airy, where she raised her five children. After her children were grown, she was active in the Surry Arts Council, the Mount Airy Historic Preservation Commission, the Mount Airy Library Board, the NC Museum of History, Central United Methodist Church, Mountain Valley Hospice and Palliative Care, and the Northwest North Carolina Food Bank. Elinor travelled extensively and visited all seven continents. Her favorite trip was always to Africa on a photographic safari to watch her beloved elephants. The family would also like to express their deep gratitude to all the staff at Cypress of Charlotte and the Stewart Health Center at Cypress. A memorial service at Central United Methodist Church in Mount Airy will be held on Saturday, March 2, 2019, at 11:00 AM, with the Rev. Danny Miller officiating. The Hadley family will receive friends immediately after the service in the Ladies Parlor of the church. A reception in Elinor’s honor will be held at the Cypress of Charlotte on Friday, March 1, 2019, at 4:00 PM. In lieu of flowers, please contribute to the charity of your choice or to the Stewart Health Center at the Cypress in Charlotte, Charlotte Hospice and Palliative Care, or the Joan and Howard Woltz Hospice Home of Dobson.